Hello! 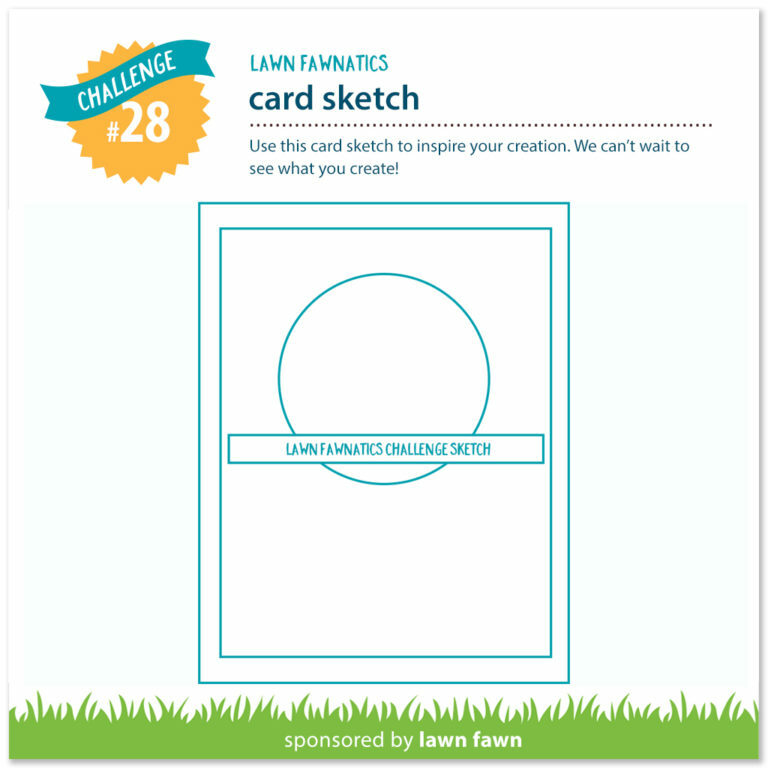 Today I joined along with the latest Lawn Fawnatics challenge, which was a simple sketch. I pulled out my favorite Father's Day stamp set to create this cute card today. I really really love this adorable Lawn Fawn set called "Dad + Me". 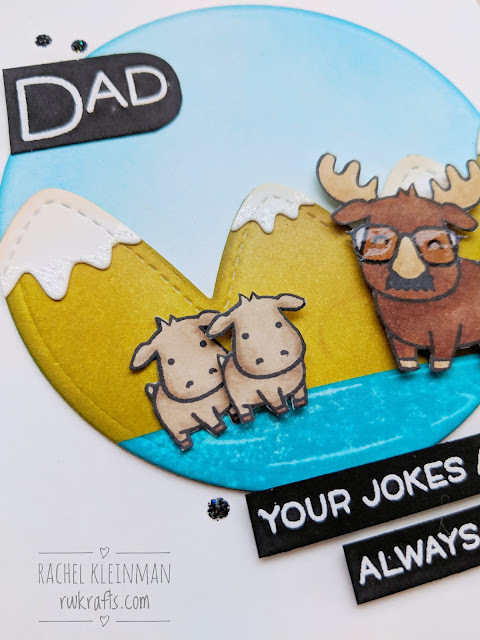 I used this set for my Father's Day cards last year as well! To create this card I first did a lot of die cutting to create the circular scene to match the sketch. I die cut a circle from Spellbinders nesting circle dies and used that as my base. Next I die cut the Stitched Mountain Border Lawn Fawn die from white cardstock. I used my Distress Inks in Peeled Paint, Tea Dye, and Crushed Olive to blend out the greenish-brownish color. The snow caps were colored with just a light touch of Distress Ink Antique Linen. 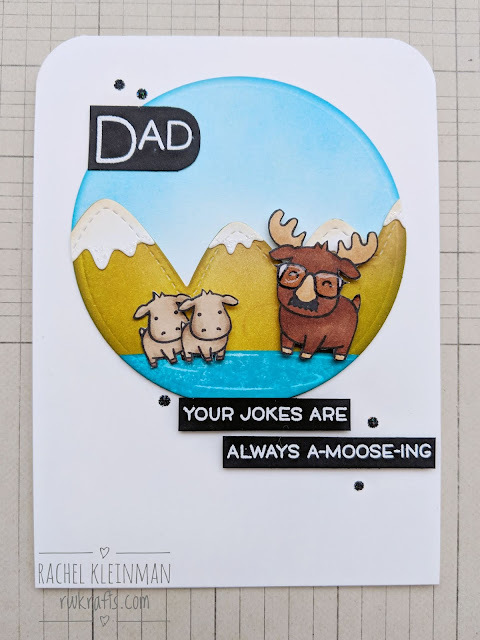 My cute baby mooses and Daddy moose were stamped on Neenah Solar White Cardstock and colored with Copic Markers. I fussy cut the images with my Cutter Bee scissors and popped them on the mountain scene with foam adhesive. Finally the sentiment was heat embossed in white on black cardstock. 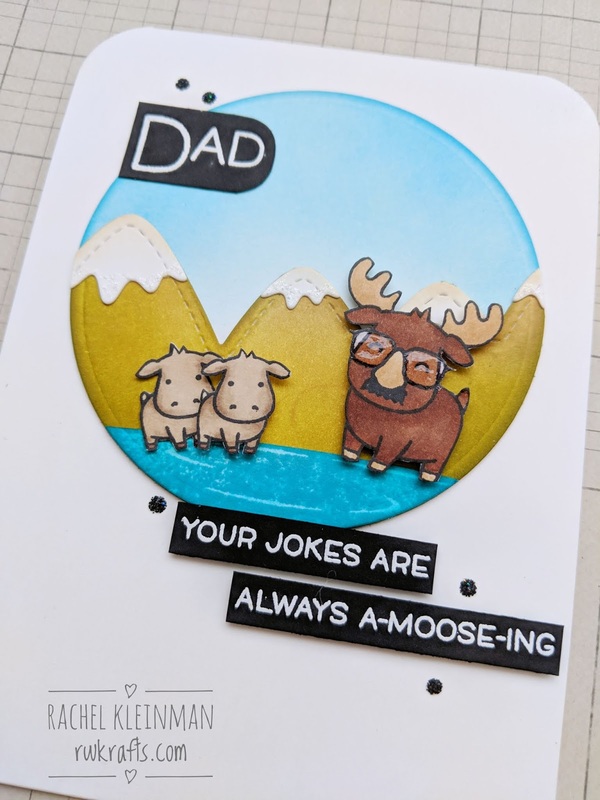 Dad - your jokes are always a-moose-ing! I love this because my dad is pretty hilarious and also wears glasses, so it fits perfectly!